I am currently on my fall internship at a big commercial photo studio in Greensboro, NC- Viewpoint Studios. It has been a really productive and positive experience. 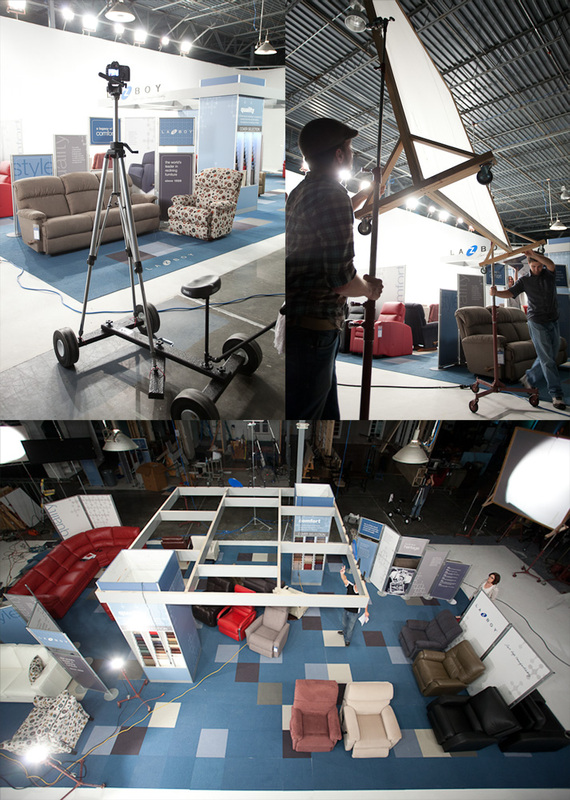 It is a large studio that specializes in furniture photography but also shoots smaller products. There are a lot of talented, cool people working there every day- photographers, designers, salespeople, carpenters, models, clients etc.- to make the final images that get used in catalogs, packaging and online sites. My sensei has been the awesome, indefatigable Mr. John Feimster. He has been teaching me about seeing the light while illuminating large interiors, working with DSLR video and editing on Capture One, as well as more esoteric advice on living life and being rock-n-roll. 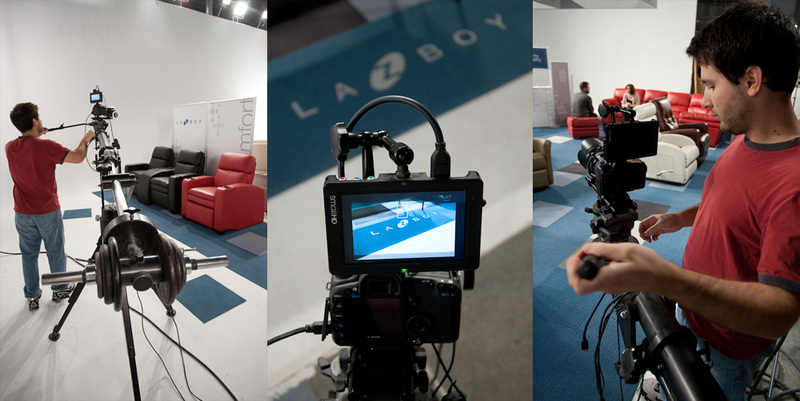 Below are some images from a massive video shoot we did for La-Z-Boy Europe/Asia to promote their salesroom spaces. Enjoy! The 1000 square foot set we lit with tons of hot lights, Hollywood style! 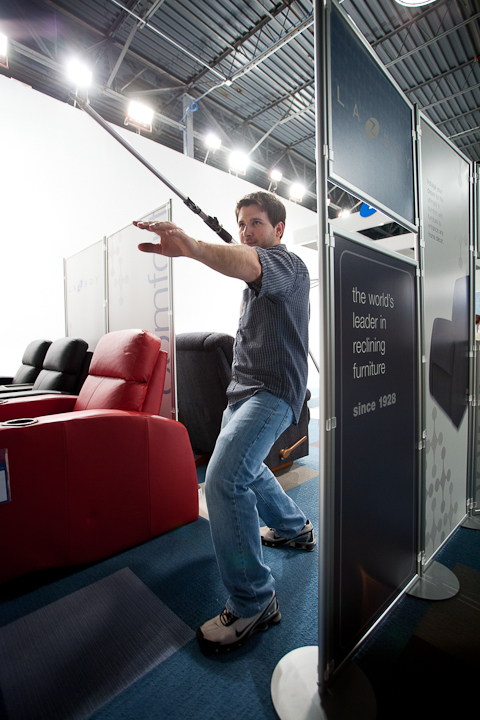 This entry was posted in Behind the Scenes, Internship, Product Lighting, Video. Bookmark the permalink.